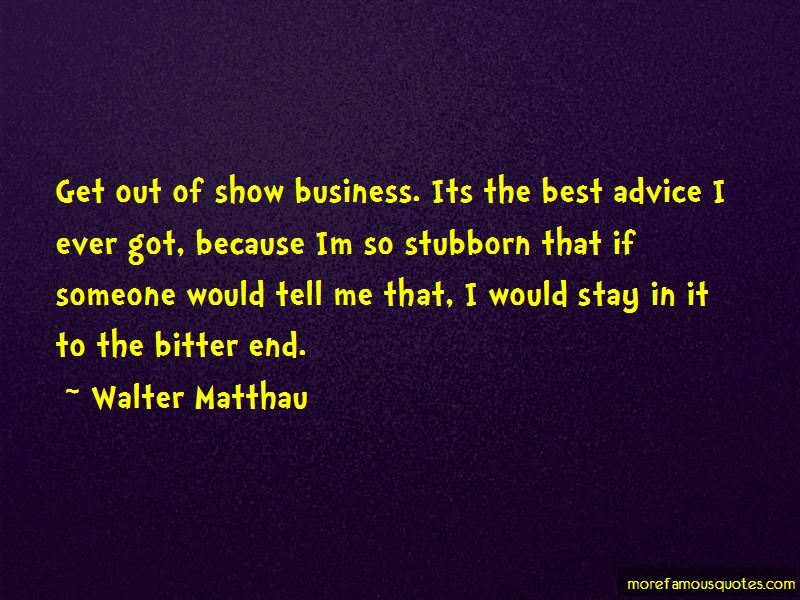 Enjoy the top 17 famous quotes, sayings and quotations by Walter Matthau. We're writing a book together. She just finished one. Did you read it? Among the Porcupines? 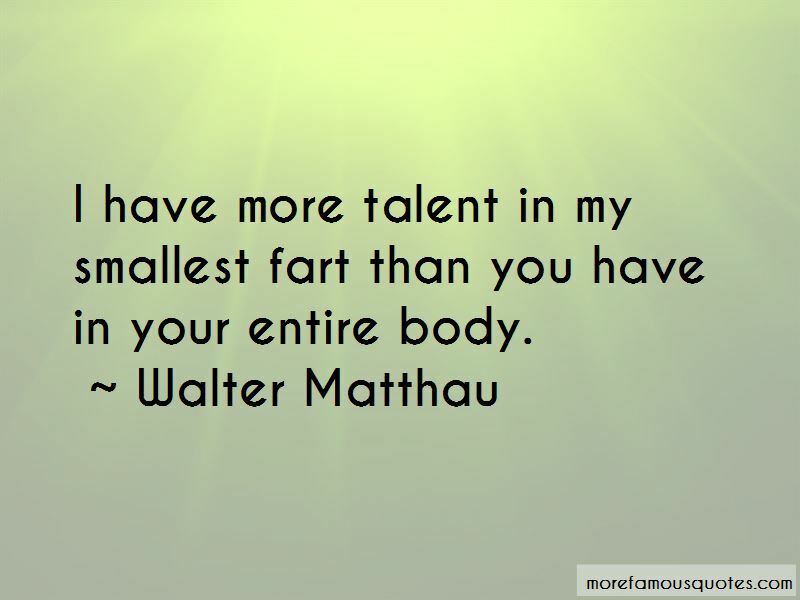 I have more talent in my smallest fart than you have in your entire body. 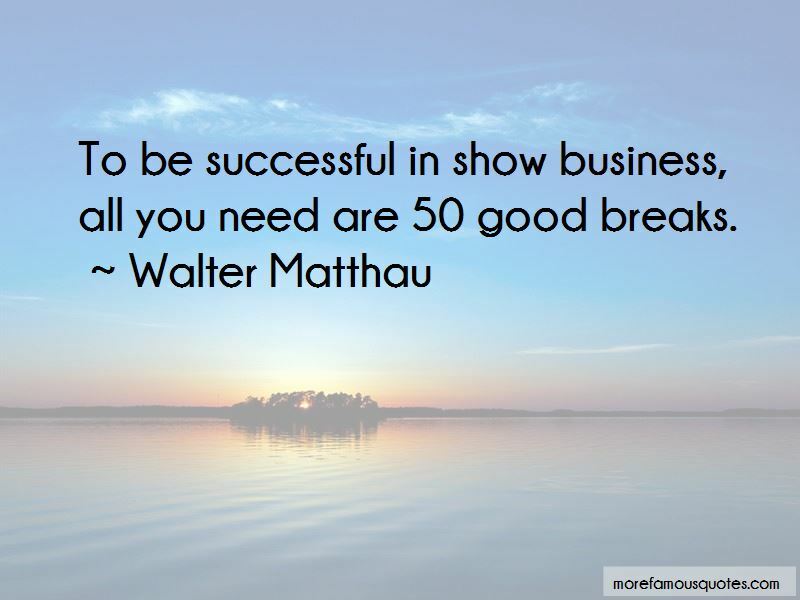 Want to see more pictures of Walter Matthau quotes? 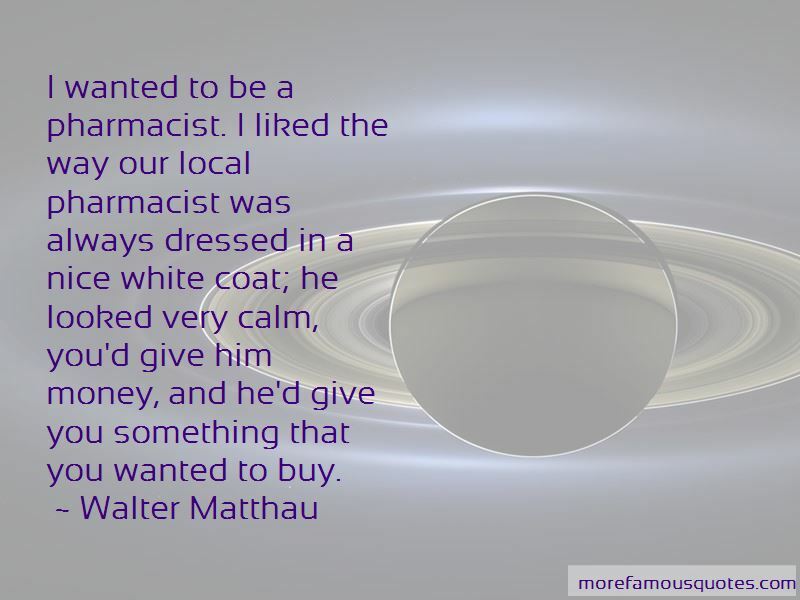 Click on image of Walter Matthau quotes to view full size.